The Battle of the Plains of Abraham (13 September 1759), is a battle that takes its name, Abraham, from the fact that it was fought on a piece of land belonging to Abraham Martin (1589-1664), a fisherman and a river pilot (Wikipedia), nicknamed The Scot. The Battle of the Plains of Abraham killed both General Wolfe and General Montcalm and I suspect that, as he was nearing death, at the age of 47, General Louis-Joseph de Montcalm knew that the colony he had been sent to protect would be ceded to Britain. In my last post, I wrote that, as he lay dying, Montcalm was not told that Major-General James P Wolfe had died. I was puzzled, but let us read the testimonial of the American historian Reverend Francis Parkman (16 September 1823 – 8 November 1893), the author of the seven-volume France and England in North America. The sixth volume is entitled Montcalm and Wolfe (1884). The officer withdrew, and none remained in the chamber but his confessor and the Bishop of Quebec. To the latter, he expressed his contempt for his own mutinous and half famished troops, and his admiration for the disciplined valour of his opponents. He died at midnight, and was buried at his own desire in a cavity of the earth formed by the bursting of a bombshell. As indicated above, Montcalm used the word “wretched,” referring to the colony. He had been short-changed by Vaudreuil who was not a military tactician and opposed Montcalm’s use of European warfare on North-American soil. The two feuded from the moment Montcalm arrived in New France, in May 1756 . Canadian-born Pierre de Rigaud de Vaudreuil de Cavagnal, Marquis de Vaudreuil (22 November 1698 – 4 August 1778), Governor of New France, had been in the military, but his second-guessing Montcalm was not very judicious. Between Montcalm and Vaudreuil, Montcalm was the better soldier and, as a rule, one must defer to greater expertise. Although Montcalm was not familiar with the hit-and-run type of warfare Vaudreuil favoured, the siege and Battle of Fort Oswego, fought between August 10 – 14, 1759, three months after Montcalm arrived in New France, was proof positive that there was merit to European warfare. As happens in wars, Colonel James Mercer, the British leader, lost his life at Fort Oswego. The battle was then fought under the command of James Littlehales. At Oswego, the French were well prepared, which was not the case at the Battle of the Plains of Abraham. The Siege of Fort William Henry, (click on the above picture to enlarge it)conducted between 3 and 9 August 1757, seems an inglorious victory. 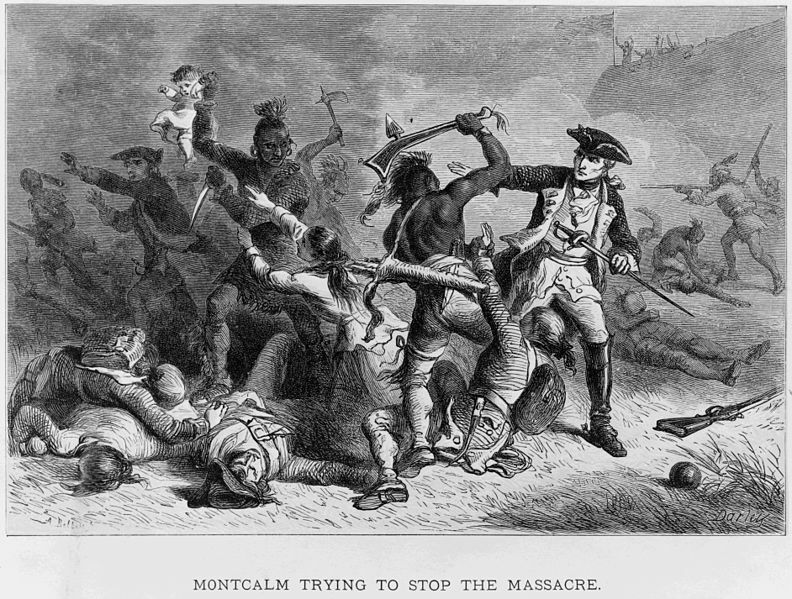 The British forces, led by Lieutenant-Colonel George Monro (1700–1757) were defeated by Montcalm’s troops which included 1,800 Amerindians of different tribes and 6,200 “regulars” and militia. The British were outnumbered and lost, but suddenly disorderly and blood-thirsty Amerindians, who had fought under Montcalm’s command, started to kill British soldiers and civilians. Monro and Montcalm were not able to subdue the Amerindians, so infamy is attached to this siege or battle of Fort William Henry. However the Amerindians made the mistake of unearthing the corpses of individuals who had recently died of smallpox. They wanted trophies. As a result, they went back to their various encampments carrying the seeds of a disease that would be more costly than their rampage. British General Jeffery Amherstwould remember the massacre. This was not European warfare. Lieutenant-Colonel George Monro died suddenly a few months after the battle. 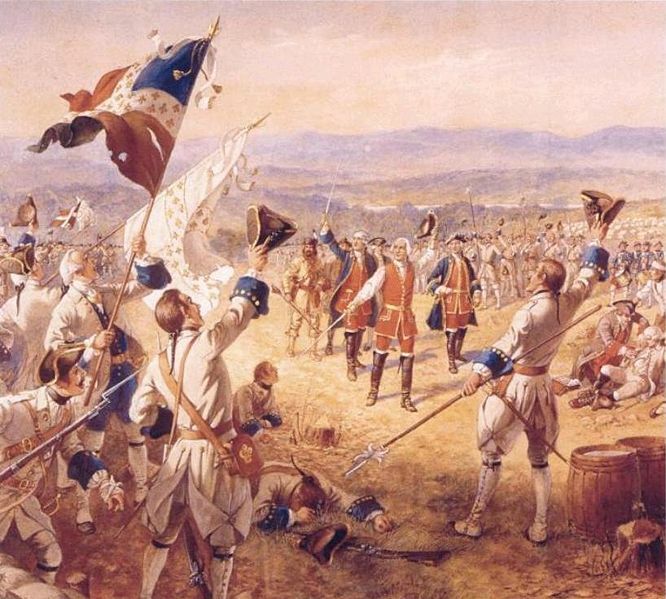 The Battle of Carillon, also known as the 1758 Battle of Ticonderoga, took place between 6 July and 8 July 1758. Once again, Montcalm, ably assisted by the Chevalier de Lévis, his second in command, was victorious under troops led by James Abercombie and George Howe. Fort Carillon was a French Fort built on the shores of Lake Champlain. How the French won that battle is difficult to explain. They were outnumbered because Vaudreuil had sent half of New France’s troops to Louisbourg, against the advice of Montcalm. The Battle of Beauport or Battle of Montmorency was Montcalm’s last victory on North-American soil. It was fought a short distance away from Quebec City by British troops under the command of Major-General James P. Wolfe. It was fought on 31 July 1759, six weeks before the Battle of the Plains of Abraham, a final battle for Major-General Wolfe and General Montcalm, and two weeks after the British had succeeded in passing seven ships, including the HMS Sutherland and two frigates, the HMS Diana and HMS Squirrel to the west of Quebec-city. My question is the expected: how could this have happened unnoticed? Beauport, located near the Montmorency Falls, was a French redoubt. So, General Wolfe’s 6,000 regulars were outnumbered by Montcalm’s 10,000 regulars and militia. General Wolfe lost more than 211 men and 233 soldiers were wounded, however and, ironically, British ships having passed through the narrow strait between Lévis, to the south, and Québec-city, to the north, the British were in a very good position to attack the French. Six weeks later, Montcalm’s troops were defeated at the Battle of the Plains of Abraham. Montcalm lost one of his five battles in North America. He was a good soldier. Yet, he lost not only this one battle, but his life, as did Wolfe. Wolfe was only 32 and he was also a good soldier. 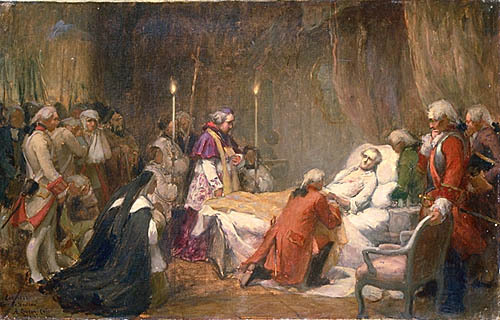 As is quoted above, Montcalm praised General Wolfe on his death-bed, which is not insignificant. On the contrary! There would be another battle: the Battle of Sainte-Foy, sometimes called the Battle of Quebec, fought on 28 April 1760. It opposed the French under the Chevalier de Lévis, and the British under General James Murray. The French won that battle, but Lévis was not able to retake Quebec City. The British retrenched and waited for reinforcement. It had been a difficult winter and scurvy had taken British lives. Lévis also waited for reinforcement, but it came too late. France came too late and, in 1763, it chose to keep Guadeloupe. Hello, I just stopped by to visit your site and thought I’d say thank you. I have read several just right stuff here. Definitely worth bookmarking for revisiting. I wonder how so much attempt you set to make one of these magnificent informative web site. I wanted to thanks quite a bit additional for that amazing website you might have created listed here. It really is full of concepts for those who are really interested in that subject matter, in individual this incredibly post. You happen to be seriously all amazingly sweet and thoughtful of other folks likewise as studying your blogging site posts is a superb delight in my view. And this type of generous gift! Mary and that i are going to have fun making use of your solutions in what we will need to do within a handful of days. Our listing can be a distance long and simply just put tips might be put to exceptional use. This is a well-written article that holds your interest from beginning to end. I can tell a lot of research and work went into it. It’s in point of fact a nice and useful piece of information. I am happy that you simply shared this helpful information with us. Please stay us informed like this. Thanks for sharing. Greeting from across the sea. precise article I shall return for more.